How to support a turn in a staircase? This is for a shed. I'm having problems finding enough support for either stringer and I can't find any close-up images of how this might be done. My only choice seems to be to pull the lower staircase back from the upper. Is there a way to make this work within this tighter space? Structurally, the flights of a dog-leg stair are usually supported by the half-landing, which spans the adjoining flank walls. In this arrangement, the stringers are joined to a newel post. The lower landing is also partly supported by the newel post. The upper by only the flanking walls and, I guess, effectively braced by lower stringers. How do I attach a carpet runner down a staircase with a turn in it? How to lift a staircase frame? 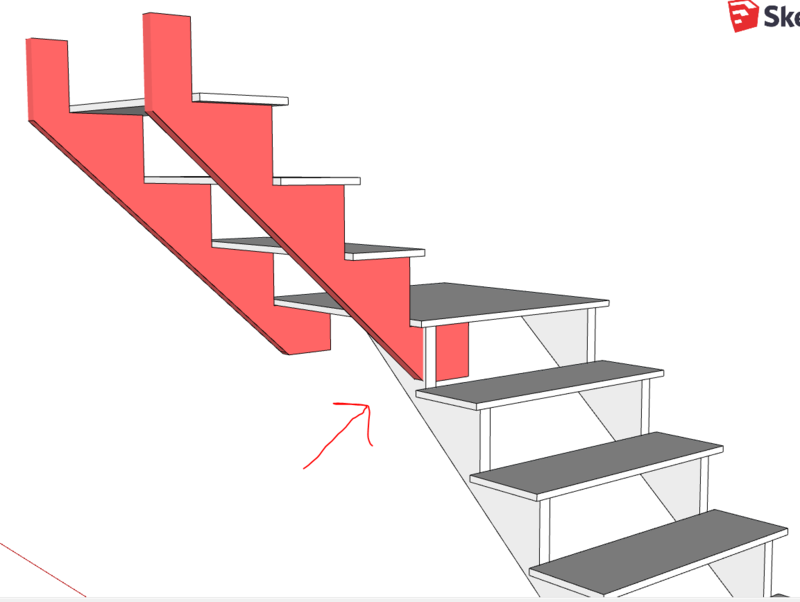 How can I convert a closed stringer staircase to an open stringer staircase? How to fix my staircase?